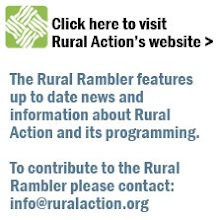 Rural Action Offered $50,000 Challenge Grant! We are delighted to announce that for the third year running, Rural Action is the recipient of a challenge grant. Thanks to the grant, every donation and membership Rural Action receives before the end of 2006 will be doubled - dollar-for-dollar. Driving between Murray City and New Straitsville on State Route 216, you can’t help but notice a gaping hole in the hillside above the road, the source of a steady flow of vivid orange and white water. The hole is the entrance to the long-abandoned Essex Mine, and the brightly colored water is contaminated with acid mine drainage. Acid mine drainage results from the chemical reaction between water and minerals in coal deposits, plus oxygen from the air. From the Essex Mine, the acidic brew flows non-stop into Snow Fork, a tributary of Monday Creek, making water downstream inhospitable to aquatic life. Enter the Monday Creek Restoration Project, which is installing a so-called “doser” at the site of the Essex Mine. A doser is a device that pours (or doses, get it?) calcium oxide into the creek. The calcium oxide reacts with substances in the water to improve its quality. Operation of the doser, the second such machine in the Monday Creek Watershed, is slated to begin around the end of March. IMPORTANT NOTE: Projects like this one are threatened by proposed funding cuts. See this Columbus Dispatch story or tune into this week's podcast (click the play button on the left side bar) for more. 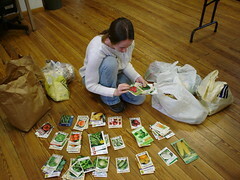 Rural Action staff and members of Community Food Initiatives sorted seeds for the “Free Seed Giveaway,” a program that makes seed grab bags available to low-income people. 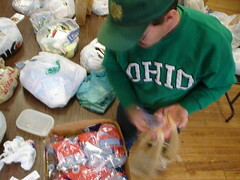 Seed grab bags will be available at Community Home, WIC in the Plains, and Jacksonville Post Office starting March 28. As En Vogue says, "Free your mind, and the rest will follow!" Join Rural Action staff and volunteers for Friday yoga classes with Michelle Stobart. Classes, held at Rural Action’s Trimble office, are scheduled from 12 to 1 p.m. and will run every Friday through March 24th. The fee is $6 per person. 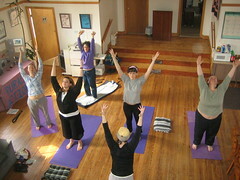 The class is suitable for all levels of yoga practitioners. Sequences are first given at their basic structure and then juiced up to more advanced work for those who need a little extra challenge. All community members are welcome! 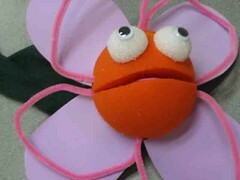 Education students at Hocking College learned the art of puppetry at a recent workshop led by Rural Action’s Environmental Learning Program. 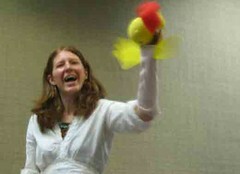 Puppetry can be a useful tool in learning and emotional development for children of all ages. infrared sensors, radio signals, and vibrations to detect the presence of a moving subject. It is inexpensive, easy to install, and an extremely effective tool for deterring criminals. can even be set to work at specific times only.